Iris identification technology is the most versatile non-contact scanning technique, based on mathematical pattern matching. This outstanding authentication method proves its merit exceedingly well in terms of high verification speed, capability of handling large database, reliability for both 1:1 and 1:n verification mode. Iris recognition technology evaluates the unique features of iris for efficient identification or verification of identity of human beings. This biometric technique can be successfully deployed for time and attendance, surveillance, ATM, E-commerce and banking kiosks, border control mechanism, criminal identification, citizen identification, PC/network access, and so on. The distinctive and complex iris pattern has the capability for remarkably high rate of accuracy in recognition. This deployment is composed of image acquisition, image preprocessing, feature extraction, template generation, template matching and classification. Our research work applies improved techniques for optimal iris recognition. Weight sampled geodesic active contours technique efficiently segments the edges of iris. Besides Haralick feature extraction method extracts the key features of iris. Optimized feature selection is carried out by fuzzy controlled particle swarm optimization, inspired by biological evolution and swarming intelligence. 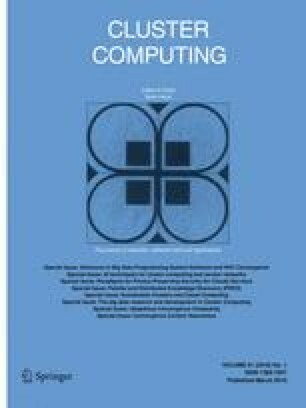 Relevance vector machine, a machine learning technique superior than traditional support vector machines performs much better probabilistic supervised classification. The experiments with CASIA version 3 dataset of iris images proves the proposed methods overweigh the existing methods in terms of accuracy, processing time, specificity and sensitivity.